Aptly named bloody dock for its distinctive red veins, this herbaceous plant originates in the Mediterranean. It is a culinary and pot herb as well as an apothecary’s medicinal. The flowers once mature are used in dried flower arranging. Like other perennial sorrels, it has a tangy, acidic taste that many good cooks use to flavour sauces, stews and soups. Cooking with sorrel offers depth and a surprise flavor with almost no effort. Sorrel has a natural affinity for fish and eggs, and is the basis for many soups. When sautéed for a minute or so, it melts into a puree that, with a little butter and cream, makes a lovely, easy sauce for fish or vegetables. A sorrel cream is a perfect bed for poached eggs. 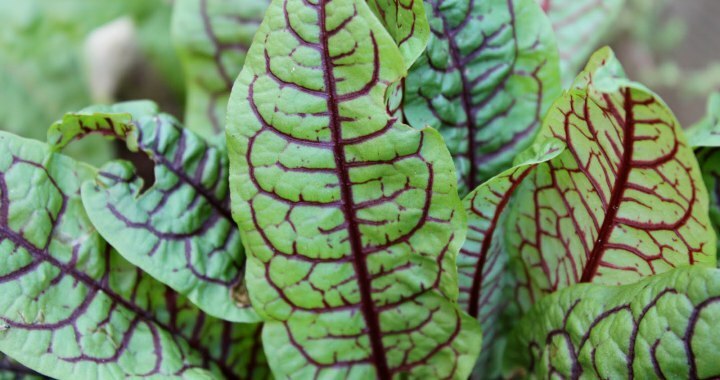 When the leaves are young and tender it adds a fresh, tart edge to any salad. Sorrels like rich, moist soil and will even grow well in boggy areas. It grows well in full sun to semi-shade areas. A real attention getter for pots and boxes at close range on the patio. Posted in Culinary and tagged culinary, flavour, medicinal.